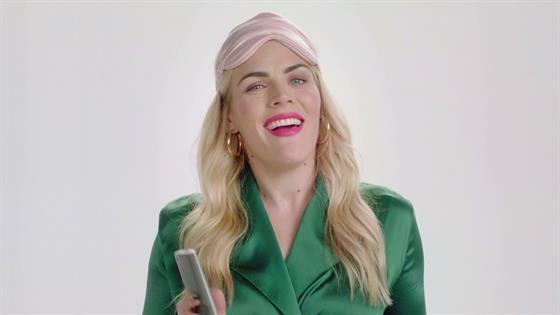 With the first episode of Busy Tonight right around the corner (Sunday, Oct. 28 to be exact), the Busy Philipps-helmed show announced the impressive list of guests slated to appear during premiere week. Since the new chat show will have episodes Sunday through Wednesday, Busy Tonight has landed notable names for each night. Kicking off the premiere will be Mindy Kaling as she will be promoting Hulu's Four Weddings and a Funeral. Monday evening will feature Princess Switch star Vanessa Hudgens, Tuesday's guest will be The Good Place's Kristen Bell and Wednesday will round out premiere week with Will and Grace legend Megan Mullally. It's said that premiere week will also feature appearances by Jimmy Kimmel, Fred Armisen and Andy Cohen. We honestly couldn't be more stoked! The star power will continue as Busy is scheduled to also sit down with Julia Roberts, Kim Kardashian, Tracee Ellis Ross, Camila Mendes, John Stamos, Olivia Munn, Beth Behrs, Lauren Graham, Jesse Tyler Ferguson, Emily Ratajkowski, Taran Killam, David Alan Grier, Tess Holliday, Tom Lenk and more. Again, we couldn't be more excited…are you? For celebrity fun and more, be sure to tune-in to Busy Tonight on Sunday, Oct. 28 at 10 p.m.